The Center for Marketing Research at the University of Massachusetts Dartmouth recently conducted its annual in-depth and statistically valid study on the usage of social media in fast-growing corporations. This new study revisits the Center’s work on the Inc. 500 social media usage for the sixth consecutive year, making it a valuable and rare longitudinal study of corporate use of these new technologies. The Inc. 500 come from a list of the fastest-growing private U.S. companies compiled annually by Inc. Magazine. For details about the 2012 Inc. 500 and the complete directory of the included companies, please visit Inc. Magazine’s website at www.Inc.com. The new study compares adoption of social media among the 2012 Inc. 500 with previous years. In 2007, the Center’s first study of this group and their use of social media was released and revealed that the Inc. 500 was outpacing the revenue based Fortune 500 in their use of social media. For example, at that time, research showed that 8% of the Fortune 500 companies were blogging compared to 19% of the Inc. 500. This difference continued in all subsequent years with the Inc. 500 out blogging the Fortune 500. The most recent data on both groups suggests that pattern holds with 44% of the 2012 Inc. 500 blogging and just 23% of the Fortune 500. As in the earlier studies, the 2012 study, under the direction of researchers Nora Ganim Barnes, and Ava Lescault is the result of a nationwide telephone survey of those companies named by Inc. Magazine to the Inc. 500 list for 2012. All interviews took place in the fall of 2012. The list was released in the September 2012 issue of Inc. Magazine. In this sixth iteration, thirty-four percent (170) of the Inc. 500 participated, making this research statistically valid at +/- 6%. This research proves once again that social media has penetrated parts of the business world at a tremendous speed. It also indicates that corporate usage of social media within the Inc. 500 has changed in the past 12 months. We are now seeing the incorporation of new platforms and tools including FourSquare and Pinterest, an increased use of LinkedIn and Blogging, a drop in the use of YouTube and Facebook. Ninety-two percent of the Inc. 500 are using at least one of the tools studied. The respondents in this study, as in the previous studies, are diverse. They represent 25 different industries including 14 of the top 25, and 34 of the top 100 companies from the 2012 Inc. 500 list. They report annual revenues of $1m to over $300m with 42% of them falling between $3m-$10m. Seventy-eight percent of the sample was founded after 2005. Over two-thirds have 1-50 employees. Changes in industry composition of the Inc. 500 over the past three years are reflected in our sample and have impacted our overall statistics in distinct ways. There has been an increase in companies providing Government Services (a result of some of the Obama initiatives). These companies increased their presence in the Inc. 500 in 2010, 2011 and again in 2012 and are less likely to use certain social media tools. The 170 company executives who responded were asked the same detailed questions concerning their usage and measurement of social media that were asked of the Inc. 500 in earlier years with minor exceptions. The original 2007 questions probed the familiarity of respondents with six prominent social media tools (blogging, podcasting, online video, social networking, message boards and wikis). As familiarity became almost ubiquitous, studies began to focus more on adoption, measuring and monitoring. Changes over the years include dropping wikis (used more as a collaboration tool than a communications/ engagement tool) and changing the social networking category into specific tools and platforms. In addition to questions about current usage, the responding marketing executives were asked about the impact social media has had on their growth, if the CEO provides content, how the social media function is staffed and if social media produces ROI. The study also includes questions on the likely change in investment their company might be making in social media for the upcoming year. Additional questions about the monitoring of social media and the handling of online crisis were posed. Marketing Departments are assuming responsibility for Social Media function and planning. The social media function has been housed in PR, HR, Marketing, Communications, or independently, since its emergence in business. This study shows a tendency for Marketing Departments to house and manage the social media efforts among the Inc. 500. Blogging jumps among the Inc. 500. Thirty-seven percent of the 2011 Inc. 500 had a corporate blog. In this new 2012 study, the use of blogging jumped to 44%, increasing by 7% after remaining stagnant for years. Sixty-three percent of CEO’s report contributing to content as this mature tool enjoys a bit of a resurgence. LinkedIn leads the way. The platform most utilized by the 2012 Inc. 500 is LinkedIn with 81% of companies using it. It has replaced Facebook as the tool of choice for these fast growing companies. The use of Facebook has dropped 7% in the past year while both LinkedIn and Twitter have gained users. In 2011, Facebook was being used by 74% of the Inc. 500 and Twitter by 64%. In 2012, 67% of the Inc. 500 used each of them. 28% are now using Foursquare and 18% use Pinterest. Fewer Companies Will Increase Investments in Social Media. Seventy-one percent of the 2011 Inc. 500 planned to increase their investment in social media. The latest data shows a dramatic drop to 44% now looking to spend more on social media. Forty-one percent (vs. 25% last year) say their level of investment will remain the same as last year. An additional 15% were unsure of how their social media investment might change. It may be that social media enjoyed an infusion of resources over the past few years and is now leveling off. At the same time the commitment to maintaining the current level of investiment is strong. Monitoring the social media buzz falls off. The 2011 study shows 68% of companies were monitoring online conversations about their names, products or brands, down from 70% in 2010. This year that number declined again to 63%. The Inc. 500 appears to be growing less attentive to their monitoring activity. This will have important consequences should they increase their investment in the social media area. Regardless of how they choose to converse with their constituents online, they will need to be aware of conversation about their company, their products and their brands. ROI Linked to Reducing Costs for Recruiting. One third of the Inc. 500 report the ability to financially determine the return on their social media investment. Of those, 19% believe they have cut costs in their recruiting efforts due to their social media investments. This may also be tied to the increased use of the social network LinkedIn which has become well known for its success with professional recruitment. An executive summary of the data follows with more detailed information. In 2007 the results of a groundbreaking study into the adoption of social media in the Inc. 500, an elite group of the fastest-growing companies in the United States, was released. As one of the first studies of corporate social media adoption with statistical validity, it proved conclusively that social media was coming to the business world and sooner than many anticipated. Since then, the Inc. 500 has been studied each year in an effort to look at longitudinal change in the adoption of these fascinating digital communication tools. The companies who responded to the study presented here were asked many of the same detailed questions concerning their usage of and measurement of social media as in the original study. In 2009 the survey was expanded to include new tools that have emerged as popular channels for many businesses. In this latest rendition newer tools including Foursquare and Pinterest were studied along with the use of older tools like Blogs, Facebook and Twitter. Thirty-four percent (170) of the Inc. 500 participated in the 2012 study, making this research statistically valid at +/- 6%. Interviews were conducted with the highest-ranking Marketing or Communications executive at each company. In many cases, the company CEO or CMO provided the information. The platform most utilized by the 2012 Inc. 500 is LinkedIn with 81% of companies using it. It has replaced Facebook as the tool of choice for these fast growing companies. The use of Facebook has dropped 7% in the past year while both LinkedIn and Twitter have gained users. In 2011, Facebook was being used by 74% of the Inc. 500 and Twitter by 64%. In 2012, 67% of the Inc. 500 used each of them. Thirty-seven percent of the 2011 Inc. 500 had a corporate blog. In this new 2012 study, the use of blogging jumped to 44%. The use of blogging increased by 7% after remaining stagnant for years. Sixty-three percent of CEO’s report contributing to content as this mature tool enjoys a bit of a resurgence. It is interesting to note that while there is increased use of social media, company’s are somewhat mixed on how central it is to their growth. Sixty-two percent feel these new communications tools have been necessary for the growth of their company and 39% disagree. With social media playing a more central role in business communications, the Inc. 500 were asked how they staff the social media function. In 2011, 7% indicated they made a new hire specifically for social media. This year that number rose slightly to 9%. About the same number use an outside consultant or content provider to address their social media needs. It is far more common for a company to reposition an existing employee or distribute the social media responsibilities among existing employees (65%). Some assign the social media function to a department, usually Marketing, an intern or part-timer, or it is alternately handled by the company CEO. There appears to be a mimimum of hiring for new or dedicated social media positions. This may be a reflection of a lack of available candidates in the new field, or more likely an attitude that social media can be handled by those currently within the organization. Depending on the solution, the company might be more or less effective as our knowldege and experience with these new tools, platforms and strategies grow and the opportunities and challenges presented multiply. The staffing of the social media function may also be related to a considerable decline in planned investments in the social media area. Seventy-one percent of the 2011 Inc. 500 planned to increase their investment in social media. The latest data shows a dramatic drop to 44% now looking to spend more on social media. While businesses indicate they will not decrease spending, 41% (vs. 25% last year) now say their level of investment will remain the same. An additional 15% were unsure of how their social media investment might change. It may be that social media enjoyed an infusion of resources over the past few years and is now leveling off. Whatever the reason, businesses now feel it less imperative to make new investments in this area. It is surprising that over three quarters of these successful businesses say social media has NOT resulted in cutting costs. Early discussions of ROI as it applies to social media, often indicated that measurement was difficult. In this study, respondents point to Google Analytics, Radiant 6, HubSpot and others as useful tools for evaluation. Over one third of this group felt they could financilly determine ROI for their social media efforts. Of those that felt like they had reliable measurement tools, 19% see cuts in spending attributable to social media. When asked to elaborate, the majority pointed to reduced costs for recruting new employees. This may be linked to their increased use of LinkedIn and it’s professional networking opportunities. All executives were asked if their company monitors its brands or company name in the social media space. Tracking the company name, brands or products as they occur online is declining. The 2011 study showed 68% of companies did monitor, down from 70% in 2010. The Inc. 500 appear to have retrenched somewhat on their monitoring activity. This will have important consequences should they increase their investment in the social media area. Regardless of how they choose to converse with their constituents online, they will need to be aware of conversation about their company, their products and their brands. This is the first survey of the Inc. 500 to ask about their social media plans for the future. Twelve percent have a standalone social media plan. It is interesting to note that 22% report having no social media plan. The majority (59%) incorporate their social media plan into their Marketing/Business Plan. It would appear that social media is moving into the Marketing function of these companies. Given the multi-faceted use of social media for engagement across the enterprise, it will be interesting to see how the marketers coordinate that effort. The use of social media in the Inc. 500 is evolving. Some tools are being shed in favor of other tools and some are having a resurgence. Creating networks with other professionals is now more popular than communicating with target markets via Facebook or Twitter. These fast growing companies intend to continue to invest in social media, albeit at a slower rate, and will fill their needs mostly by repositioning employees or having other existing positions or departments assume responsibility for it. Overall, 92% of the Inc. 500 are using social media to market their brands. They have matured in their adoption of these tools and now move comfortably between them. These companies have embraced LinkedIn, Facebook, and Twitter and have found a place for more blogging. As the role of social media becomes institutionalized in companies, the future is sure to be exciting and fast paced for these model small businessees. 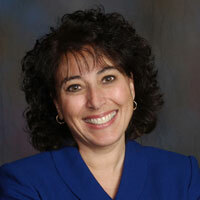 Nora Ganim Barnes earned a Ph.D. in Consumer Behavior from the University of Connecticut and is a Chancellor Professor of Marketing and Director of the Center for Marketing Research at the University of Massachusetts Dartmouth. Nora has worked as a consultant for many national and international firms including the National Pharmaceutical Council, the National Court Reporters Association, and the Board of Inquiry of the British Parliament, Scotts Lawn Care Co, Distilled Spirits Council of the US and others. Business Week, Inc. Magazine, Computer World and other business media as well as the Providence Journal, Boston Globe, Chronicle of Higher Education, Washington Post, LA Times, New York Times and NY Daily News have covered her work. She has been named a Senior Research Fellow and Research Chair by the Society for New Communications Research. Nora can be reached at nbarnes@umassd.edu. Ava M. Lescault is Senior Research Associate and Associate Director of the Center for Marketing Research at the University of Massachusetts Dartmouth. Ava graduated from UMass Dartmouth with a BS in Marketing and a Master’s Degree in Business Administration with a concentration in Marketing Research. She recently completed a Certificate in Marketing Research from the University of Georgia. Ava has worked on approximately twenty-five extensive research projects and is a published author. Her clients include the cranberry industry, the shellfish industry, a national juice manufacturer, the Massachusetts Department of Agricultural Resources and a Fortune 500 company. She was the first person to hold the position of Senior Research Associate in the Center. Ava can be reached at alescault@umassd.edu. The University of Massachusetts Dartmouth Center for Marketing Research provides high quality, affordable marketing assistance utilizing Center staff, faculty, students, and expert practitioners. The Center offers focus groups, market analysis, customer satisfaction studies, feasibility studies, new product development, branding, promotion/ packaging and customized projects and interdisciplinary studies. The Center also has state-of-the-art online survey capability. The authors would like to thank those that made this report possible. The Inc. 500 companies who responded to this survey were candid and generous with their comments. They represent all the qualities that make the study of new communication channels for businesses so exciting. Special thanks are also owed to the staff and students from the University of Massachusetts Dartmouth Center for Marketing Research for their endless enthusiasm and dedication to this project.